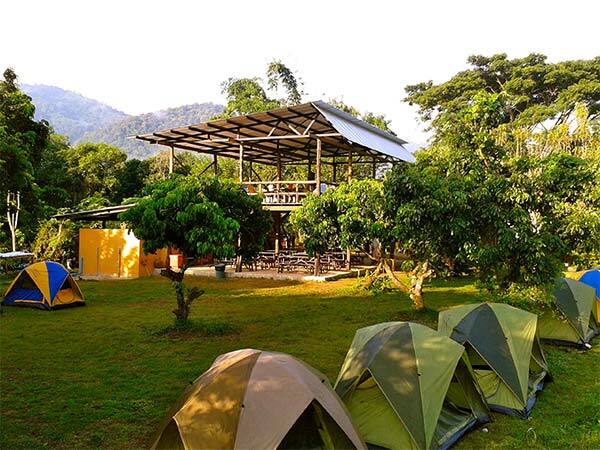 Using reclaimed and local materials and building in an Eco-friendly way, our lodges are designed as basecamps for our Wild Planet programs, coupling adventure with nature and a local Thai experience. 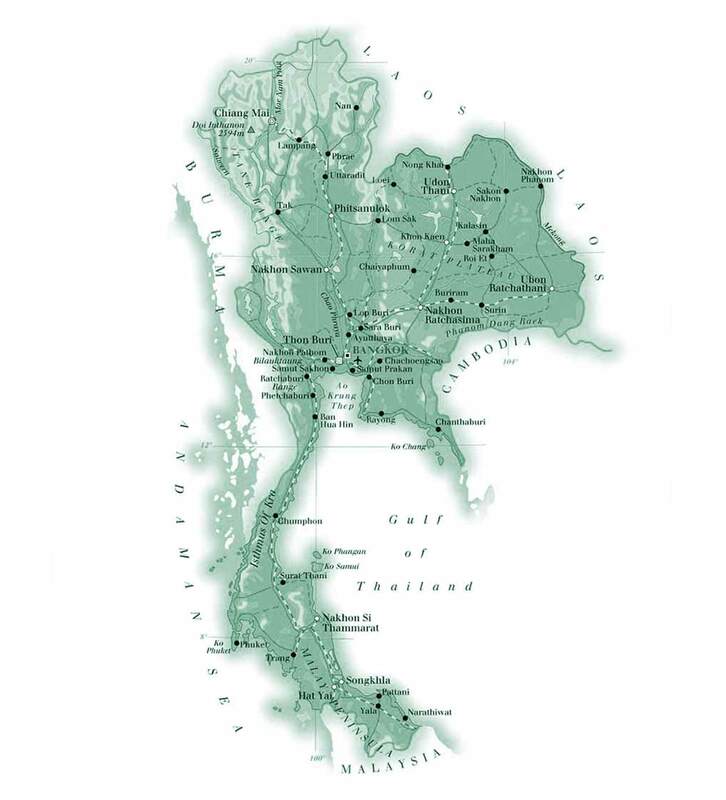 We work with local staff wherever possible and are involved closely with the local communities surrounding each lodge. We also like to encourage our guests to get involved via our volunteer, CSR and Outreach programs. A picturesque river campsite surrounded by nature and subsistent farmlands. 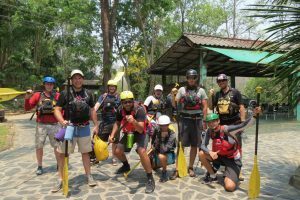 Ideal for rafting programs or a base for community development projects. 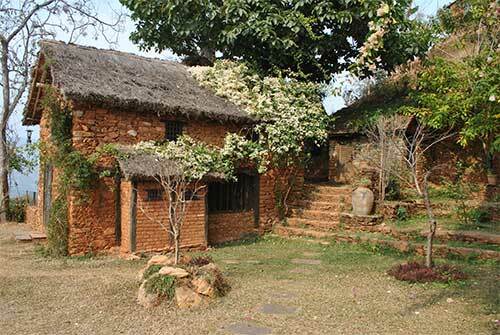 This lodge features an organic vegetable garden tendered by Uncle Moo himself. 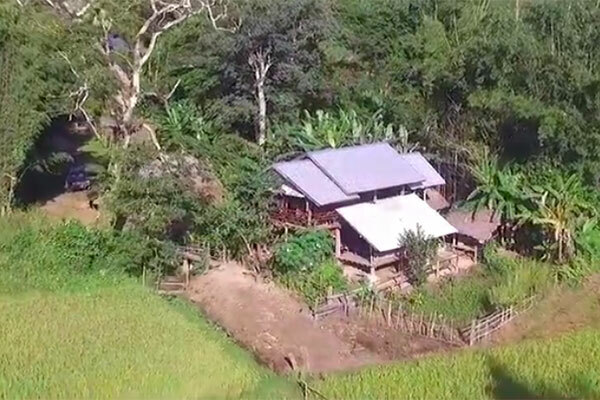 Perched high above the Muang Khong valley with spectacular vista of Doi Chiang Dao and unobstructed views of the glistening Mae Teng river below. 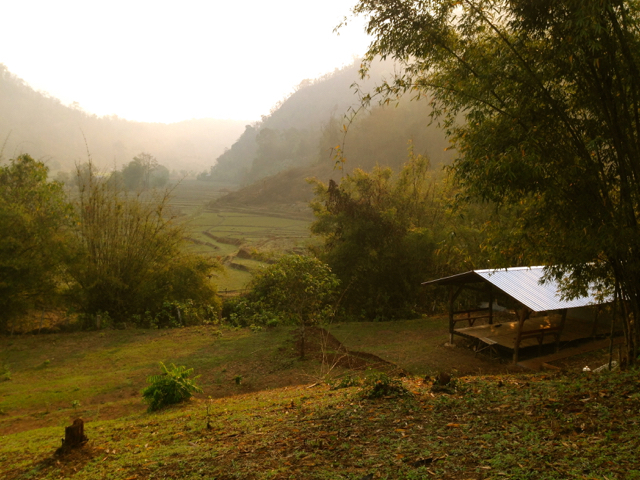 Nestled among sloping rice paddies in a remote part of Chiang Dao, Ki Mi Lodge takes you back to nature. A short stroll through the jungle reveals the hidden jem of Ki Mi Cave. 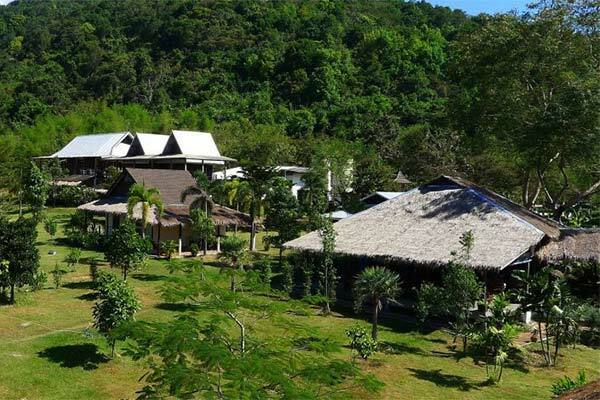 The Wild Lodge enjoys a unique location, on the southern slopes of Khao Yai with direct access to this World Heritage National Park. The surrounding trails, rivers and lakes, make The Wild Lodge an ideal location for outdoor activities and adventure sports. 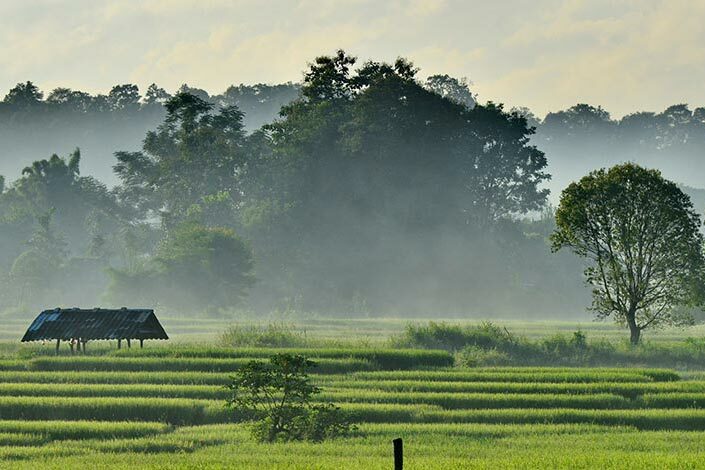 In the foot hills of the Mae Sa valley and surrounded by green paddies, our farmstay follows the journey of rice from planting though harvest to milling. The surrounding community of artisans offer a glimpse into other local crafts. Our farm stay offers an insight into the daily life of subsistence farming and the importance of the rice harvest. The accommodation has been built by Khun Tu our artist host from local adobe bricks and the process of construction can be observed onsite. What is our Environmental impact? Our programs are framed in a way that promotes the active stewardship of our natural resources and surroundings and encouraging current and future generations towards its protection. 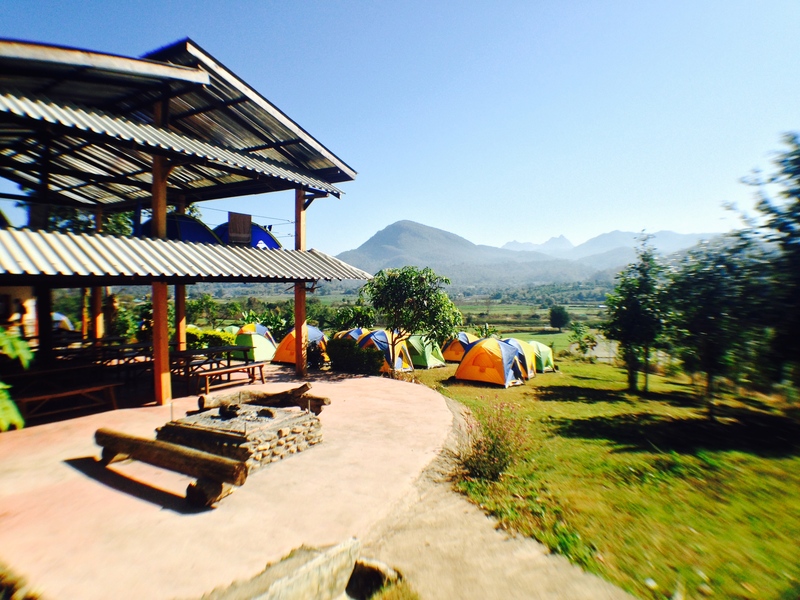 We follow the Leave No Trace vision and we incorporate the seven "Leave No Trace" principles within our programs. We realize that this involves individual commitment and may not be embraced by all, but if we can have the student leave us with a better appreciation of the outdoors then we are some way forwards to making a difference. We are fully aware of the healthy appetites after adventures and provide tasty and varied meals with plenty of fresh ingredients. We serve a combination of local and European dishes while at the same time ensuring high standards of hygiene. On all our trips your good health is our highest priority. Please let us know if you have any special dietary requirements and we are happy to cater for you. Whats the best time of year to visit? Rainy Season: May-October. Flora and fauna flourish, whilst after the rain there is clean air and clear visibility. Cold season: November- February. Clear, sunny and cool Days average 22° C & the nights can drop to 10° C.
All Wild Lodges are managed and operated by The Wild Planet Adventure Specialists. Find out more about who we are on our sister website.